SmartRecruiters, the Hiring Success Company, introduces today a number of highly anticipated, user-requested product enhancements as part of the January 2019 product release, dubbed the “Winter of Love”. Building on innovations over the past year, the latest updates enhance workflow optimization, enterprise configurability, and sourcing effectiveness for hiring teams already using the SmartRecruiters enterprise recruiting platform. 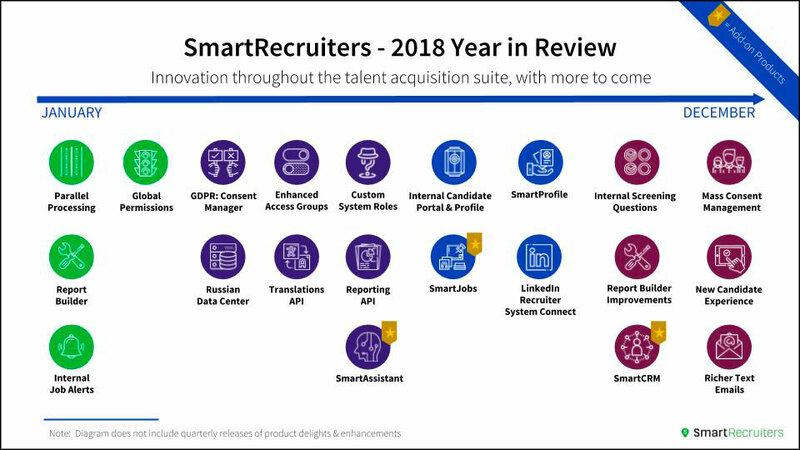 "While we’ve expanded the talent acquisition suite by offering the industry’s first and only native AI recruiting and candidate relationship management solutions, SmartRecruiters’ latest product release demonstrates our ongoing commitment to core functionality while making innovation leaps,” says Jerome Ternynck, Founder & CEO of SmartRecruiters.